Democrats endorse Madia in 3rd Congressional Dist. 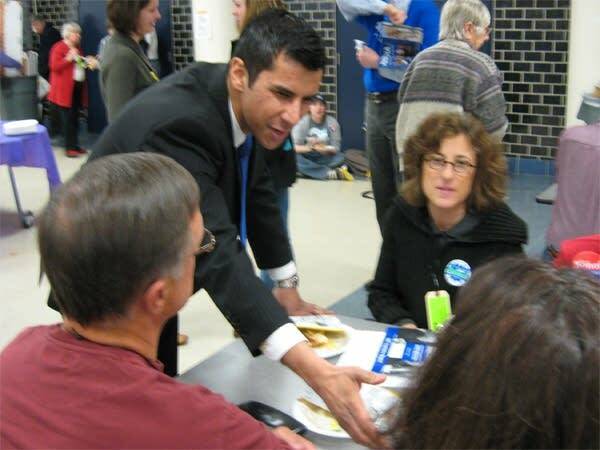 Ashwin Madia, who is thirty years old and has never run for office before, beat his better established DFL competitor, state senator Terri Bonoff. Bonoff made good on her pledge to abide by the party's decision, and she threw her support behind Madia, once it became clear that her delegates were defecting to him. "It is time for us to take back the third district seat in Washington, to stand united as Democrats and begin the battle ahead so that we win in November," Bonoff told the delegates. Madia is a lawyer and an Iraq war veteran. In his acceptance speech, he ticked off some of the issues he's been emphasizing in his campaign. "We've been talking about ending this war in Iraq. We've been talking about balancing our budget and bringing some fiscal responsibility back to Washington. We've been talking about addressing global warming, fixing health care in this country, and standing up for civil liberties," Madia said. 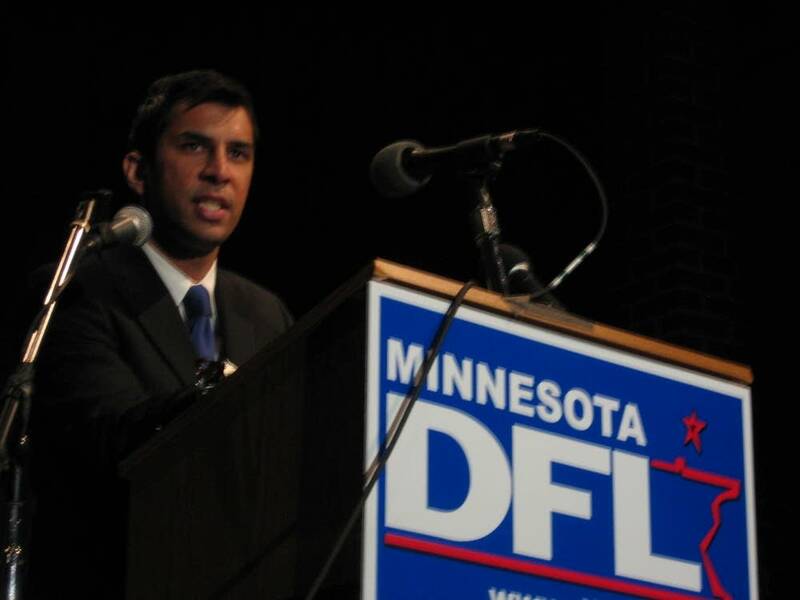 Madia's presumptive Republican opponent is state Rep. Erik Pualsen, R-Eden Prairie. The Independence Party has endorsed printing company CEO David Dillon in the race.